What I’m about to say, I thought would stay between the four walls of the un-judging security of my home. It is as embarrassing as declaring a love for Roberto Cavalli’s aesthetics or appraising Primark for their design merits. 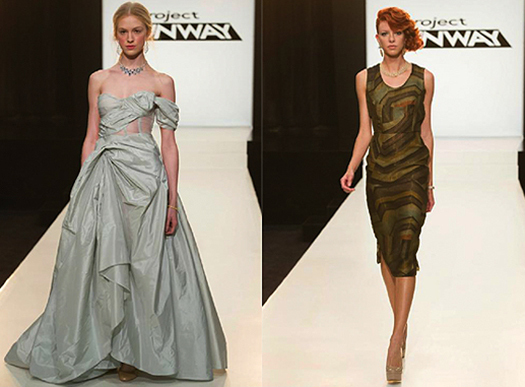 I know my statement is bound to arouse intellectual snobbery amongst some but here goes: I love Project Runway. 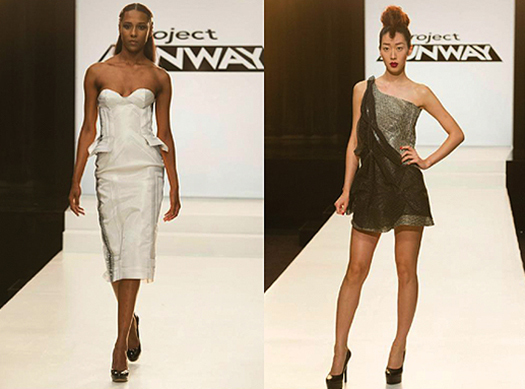 Project Runway, for those of you not familiar with the concept, is a reality TV show where a dozen fashion graduates, self-taught maker-tryers, designer wannabes and established practitioners compete. In each episode candidates are given a task to design and construct a garment and for this, they usually have between one to two days. One by one, losers are dropped out as the show culminates in a finale fashion show during the New York Fashion weeks where one of the designers is crowned the winner. 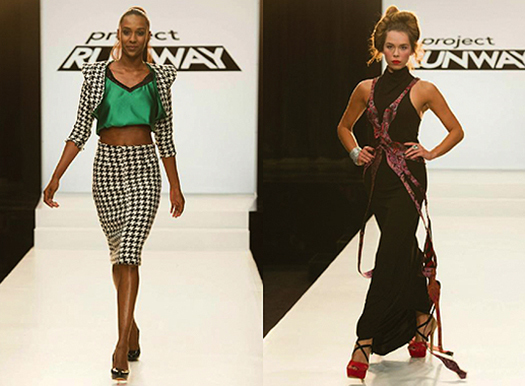 Project Runway has all the elements that a good TV show should have. It has the drama as garments pulled together last minute, catwalk mishaps take place and verbal fights unravel all peppered with some complex personal and interpersonal issues. It also has its success stories as the underdogs surprising with accomplished outfit designs and moments of personal growth and realisation take place along with the crowning of the season winners. 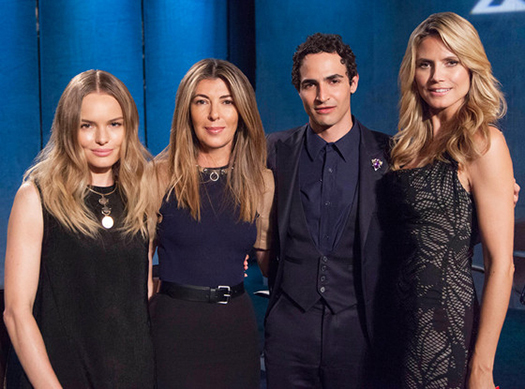 Unfortunately, whilst Project Runway ticks all the right boxes of good entertainment, it does it by undermining everything that fashion is about. The commercial climax of the entertainment industry under which the show is being produced has meant that it is littered with bad examples, bad practice and bad fashions. This wouldn’t be so bad if the show didn’t act as a role model for the next generation of fashion designers across America and the world. 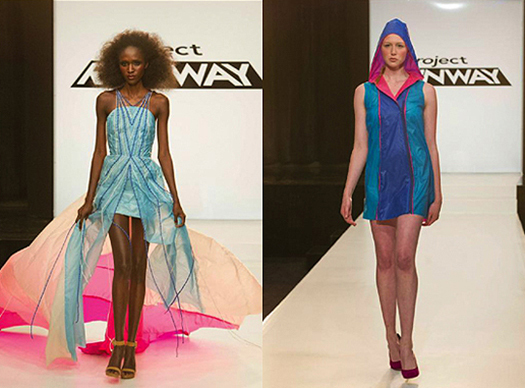 In fact, having practiced, taught and thought about fashion design for a number of years now, I can conformably say that Project Runway offers a twisted and ill-represented idea of what fashion really is about. 1. Does the candidate vaguely know what fashion design consists of? 2. Is the candidate likely to: cry endlessly/cause drama/say a lot of memorable one-liners? 3. Does the candidate have a sob story to tell? 4. Is the candidate’s self-belief higher than their skill levels in design and construction? If you circle ☺ in all the questions – the candidate is perfect for the show. Episode 1 was the ‘unconventional material challenge’[ref] This is where designers are given all sorts of crap from food to gaffa tape to flowers to make outfits[/ref] where designers were given parachute material, which is from the saner end of the ‘unconventional material’ spectrum as it acts like a fabric. The designers had to design and produce an outfit using their parachute. No starting point for design, no definition for market level, just make something. The results were, interesting. Episode 2’s challenge was the most normal out of all the challenges so far. In this episode, the designers were given jewellery as their starting point and the task was to create a dress to accompany the jewellery. Of course, it was evening gown and cocktail dress galore but at least the designers got to use real fabrics. In episode 3, it all got very bizarre; it was another ‘unconventional materials challenge’. To start with, the candidates had to give away samples of Yoplait frozen yogurt to members of the public in Coney Island (WHAT?). They then had to ask the public to describe the experience of eating the yogurt (so it’s a frozen yogurt sponsorship for the program, right?). Candidates had to write down all adjectives and choose 3 that would define the theme and direction of the dress they were then going to make (?). For the material the candidates had 30 minutes to go to Luna Park amusement park and play carnival games to win soft toys, balloons sombreros etc… which were then used to make outfit. I’m speechless, the results disastrous. In episode 5 designers were working in teams. They were given a car for the day to drive to few of the pre-chosen locations to pick up material for yet another ‘unconventional materials challenge’. The location included: a vintage wallpaper shop, a general hardware store and a food store. Each team had to create a high-end ‘luxurious’ mini collection. The designers COULD be inspired by the design of the car they were given for the day (ah yes, another odd sponsorship then – see section 4. Sponsorships). Designers used place mats, wallpaper, foam, dried berries and rice to create their looks – get the idea? Model Heidi Klum who usually bases on her feedback on whether she likes the outfit or not. If she says that she would wear the outfit, it is likely to be the winner. Fashion designer Zac Posen who at least has a great understanding of fabric, construction and design but rarely uses this for constructive feedback. Creative director of Marie Claire US Nina Garcia who judges’ outfits mainly based on their editorial appeal, which makes it all very limiting. $150,000 from GoBank – Designers have to use GoBank card for all their fabric shopping. Carefully filmed close up shots of the bankcards are prominently featured throughout the show and the brand is continuously mentioned by the designers and hosts. $100,000 fabric allowance from Tide – Laundry Detergent brand Tide has not been featured but I’m waiting for the challenge where designers will have to use washing powder to make a dress. 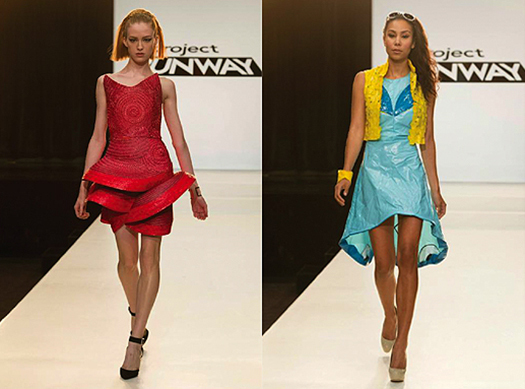 $50,000 technology suite by HP and Intel – Designers have to use HP and Intel to sketch their outfits. Personally I don’t know anyone who uses such devices, call me a Luddite but the results are clunky and reminiscent of children’s drawings with this technology. I certainly hope that the aspiring fashion designers watching this program do not get lured into buying these things – please stick to pen and paper. Carefully filmed close up shots of the equipment are prominently featured throughout the show and the brand is continuously mentioned by the designers and hosts. $50,000 styling contract with L’Oréal Paris – L’Oréal Paris does all the hair for the show – fair enough. But we can’t escape from the close up shots of products and casual conversations about hair styling. A 2014 Lexus IS 350 – See episode 5 where designers could be inspired by the design of Lexus. Carefully filmed shots of the car were frequently featured in the episode along with some casual conversations about the merits of the car. A spa retreat for two in the Maldives – sponsored by a water brand that the candidates are constantly filmed drinking. A chance to design and sell a collection at Belk – Belk provides the accessories for the show and thus gets their name mentioned in each episode – I’m sure they pay a lot for this exposure. A complete sewing and crafting studio from Brother Sewing and Embroidery – Brother provides all the sewing equipment, this makes sense. A fashion spread in Marie Claire – And I’m sure Nina Garcia has something to do with the Marie Claire spreads. It helps the magazine when it’s name checked at least 4-5 times in each episode. And really, I’m just scratching the surface here with my brief overview of ‘admissions’, ‘assignments’, ‘feedback’ and ‘sponsorships’, there is a lot more where this came from. I’m all for promoting and exposing the fashion industry to the wider public through TV. My hope would be that this should only widen the knowledge of the design process, value, materials and construction so that people have a better understanding of what they pay for and why the industry operates the way it does. But not if it’s done for the sake of entertainment whilst sacrificing all the basic principles of the discipline. Project Runway must be popular, otherwise it wouldn’t be in its 12th season now. But I wonder what the expectations of future design students, who have grown up watching the program, are when entering into design education for example. I trust that there are enough ‘reality’ shows around for a young generation to understand the line between reality and ‘reality’. But Project Runway is not doing any favours for the real fashion industry.